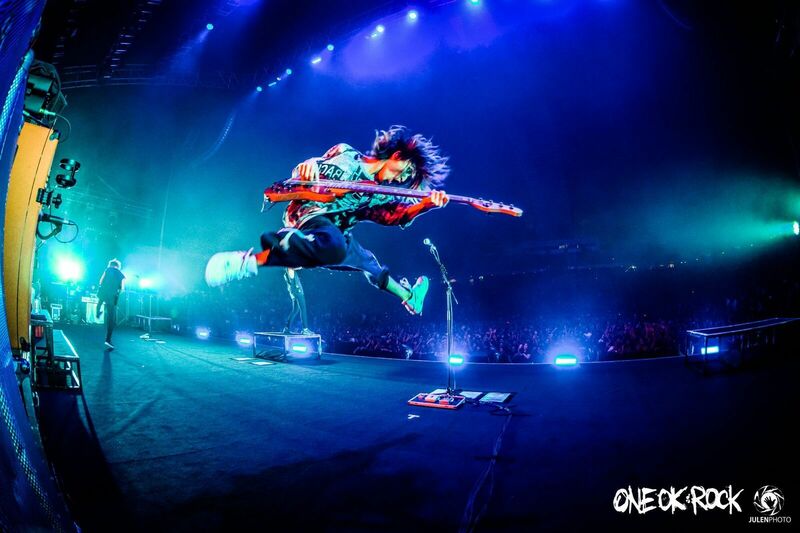 Japanese rock icons, ONE OK ROCK, returned to Singapore this past Saturday, 20 Jan 2018 to play their biggest show yet in the country. 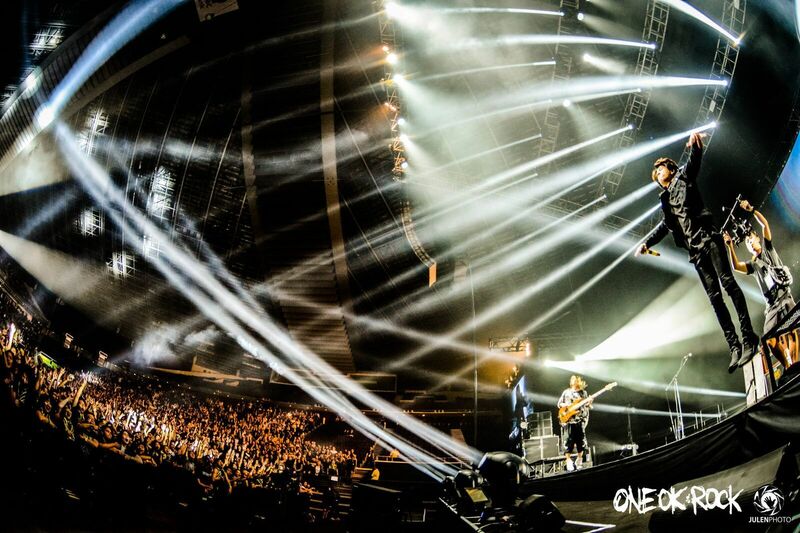 The fourth time proved to be the charm, as the band finally lived out their rock star ambitions in Singapore by performing to a raucous 6,500-strong crowd at the Singapore Indoor Stadium, after having played at relatively smaller venues for their previous concerts here. 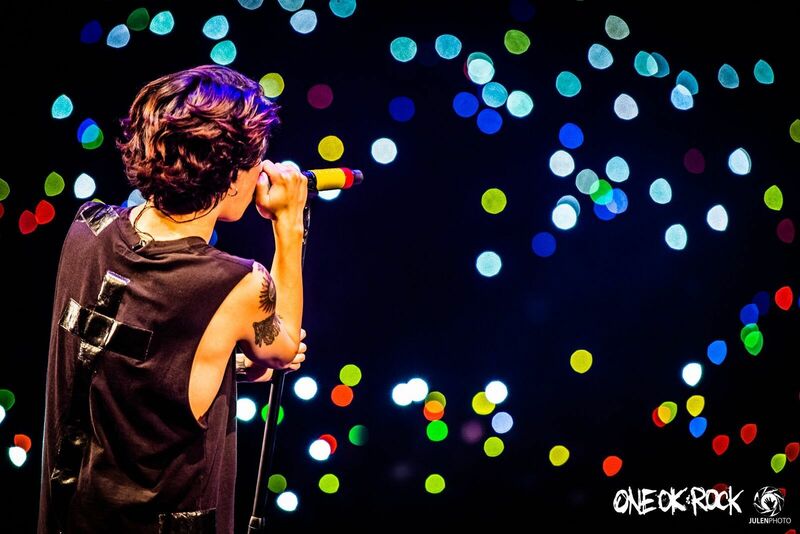 Long before the band appeared on stage, the crowd began to grow, with chatters of excitement echoing through the arena and a sea of fans beginning to chant for the band, donned in striking black-and-yellow band t-shirts. The cheers turned to roars as the lights dimmed and the band's intro was played. Before long, the band stormed the stage, kicking off their set with 'Bombs Away', which proved to be the perfect opener and indicator of what was to come. The band reveled in the spotlight as the band cheered relentlessly, before lead singer, Takahiro Moriuchi (Taka), roared his way into the third track of the night with 'Deeper Deeper'. 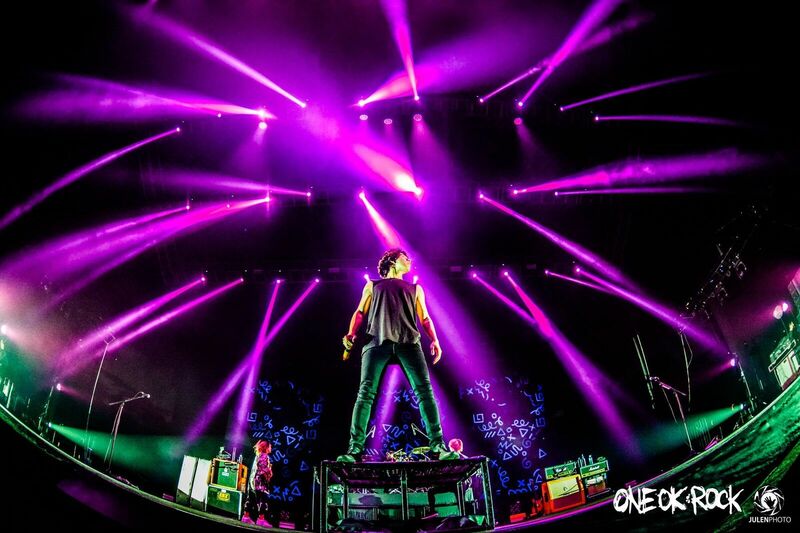 No gimmicks nor flashy pyrotechnics, the band didn't need it. They had everything they needed within their four-member bomb squad. 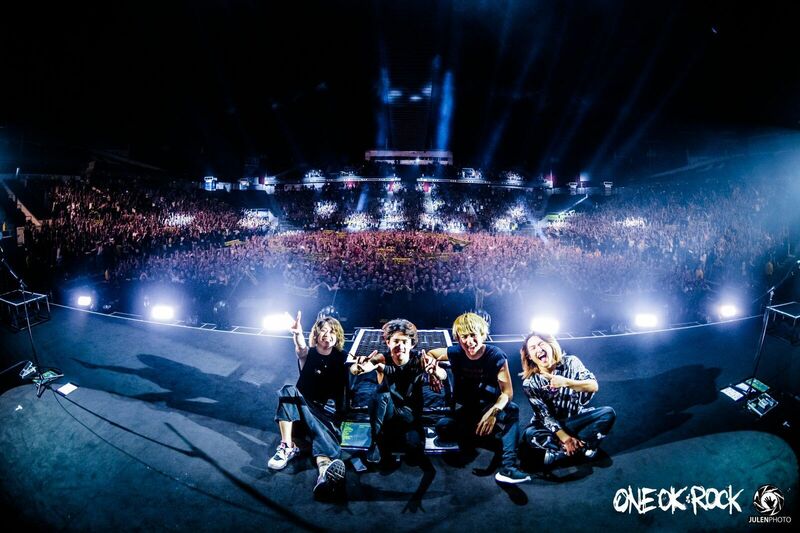 The fourth song of the set solidified what many had speculated before the band had even begun the show – ONE OK ROCK had rightfully earned their chance to perform at a venue as large as the Singapore Indoor Stadium, as they whipped out 'Taking Off', a stadium anthem off their latest record, Ambitions. 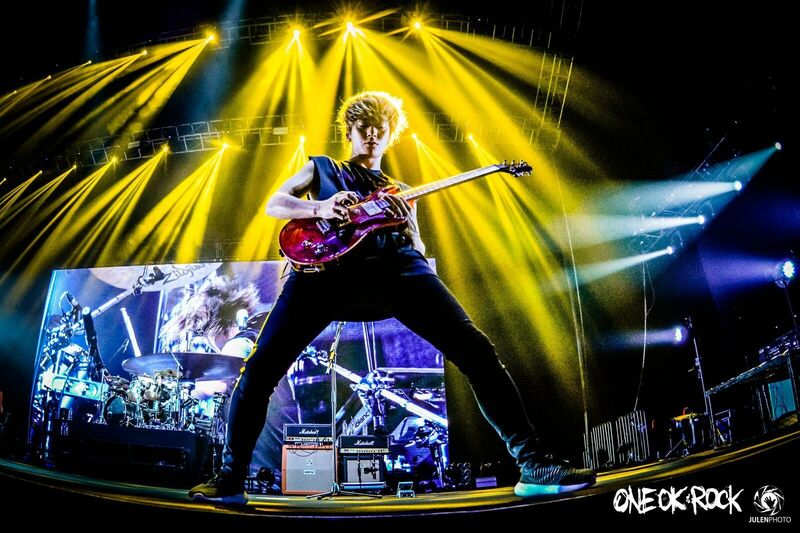 Lead singer Taka proved to be the perfect frontman with his antics and crowd engagement while guitarist Toru and bassist Ryota dazzled with their technical prowess and frequent instrumental noodling. 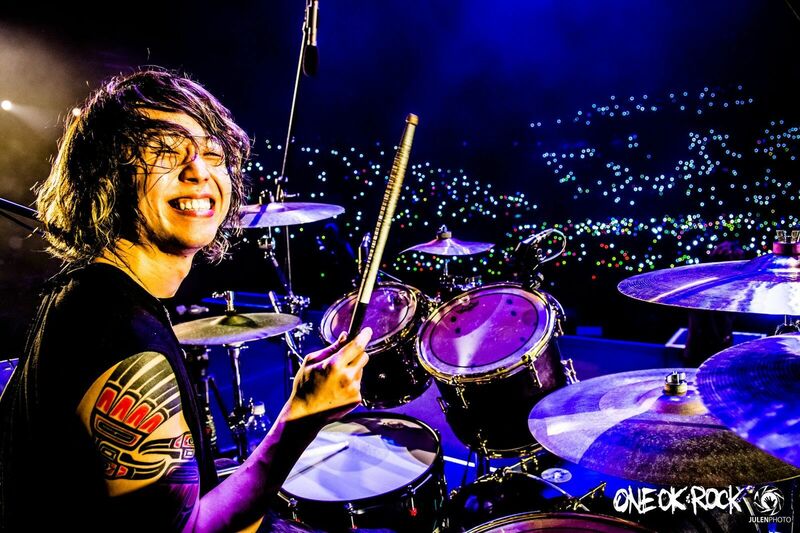 Taka's powerful voice was the highlight for many as a sea of lights filled up the arena during the band's performance of 'Wherever You Are', a rock ballad with the same power of the old greats. The band closed out the night for good on a high, with the unrelenting mammoth of a track that was 'Kanzen Kankaku Dreamer', which saw the audience give the band every ounce of energy they had left as circle pits emerged for one last frenzy. 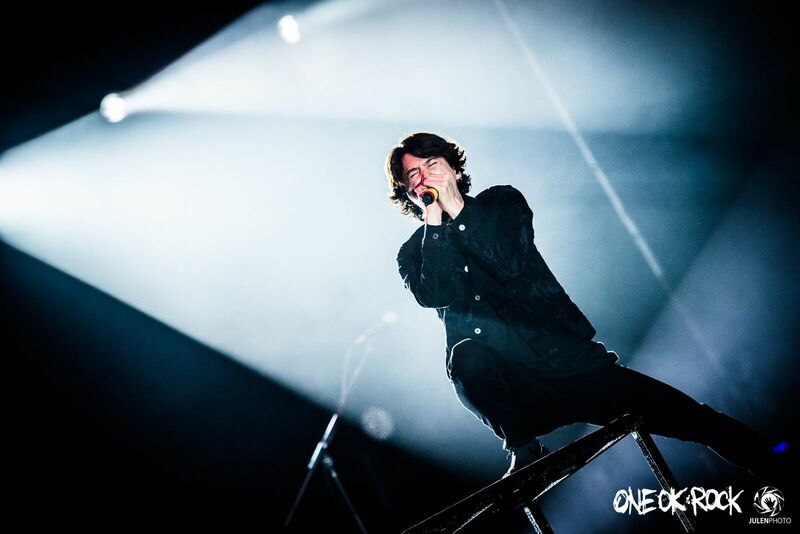 When the night drew to a close and the fans began shuffling out of the stadium, one thing was clear – ONE OK ROCK accomplished what they had set out to prove: that they are worthy stadium headliners. 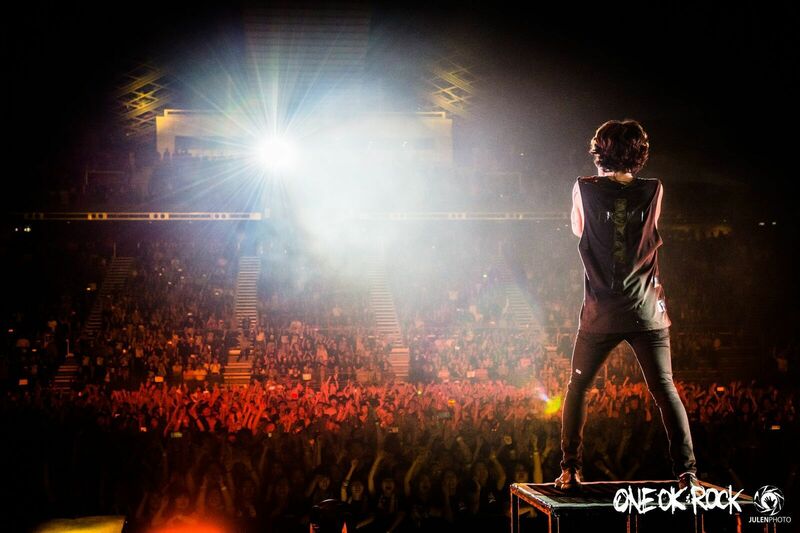 If this show was any indication of things to come, ONE OK ROCK could potentially return to an even larger crowd — perhaps even a sold out Indoor Stadium — as singer Taka had promised. If there was one thing that most fans took away that night, it was that. 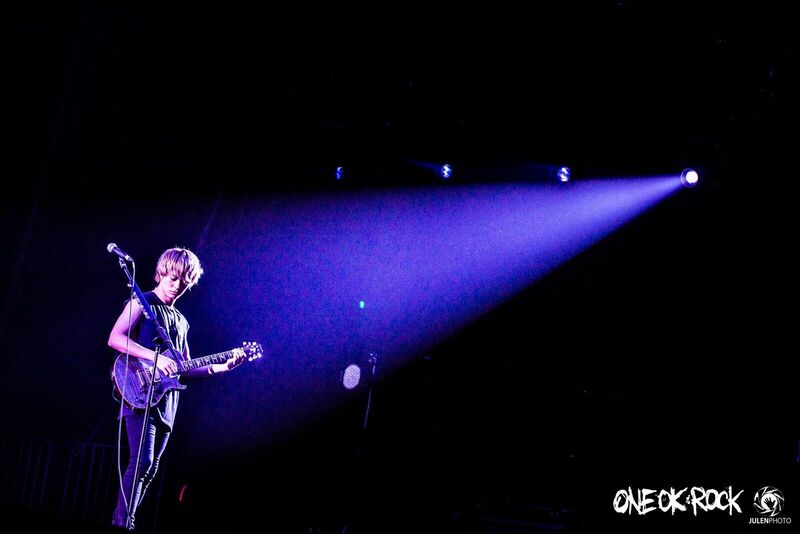 Check out the rest of the shots from the concert below. Special thanks to Amuse Inc. Asia and Live Nation SG for the invite.